I’ve adapted it for classroom visits, and it’s a fun, companion activity for Finding the Music, one that pulls in some fine arts content standards. So. Ready to make a paper-plate vihuela? Small (5-6 inch) paper plates—Squares and circles work equally well. The heavy, cardboard-type are best. If using heavy, high-quality plates, plan on two per child. You’ll need more than that if you’re using lighter-weight plates. 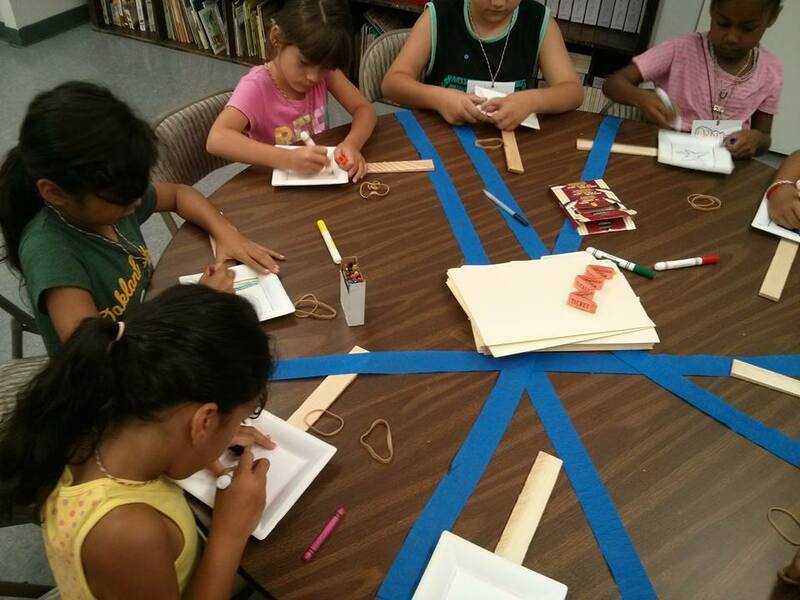 Rubber bands—Plan on about 3-4 per child. (Tip: If you provide bands of varying thickness, you can use this activity to discuss tone). Paint stirrers, dowels, shims—Really, you just need something sturdy for the neck of each vihuela/guitar. I’ve found paint stirrers work best. Shims are easier to find in large quantities, but you’ll probably want to lightly sand them before use. Step 1: If planning this project for a class, I’d recommend doing this part in advance. 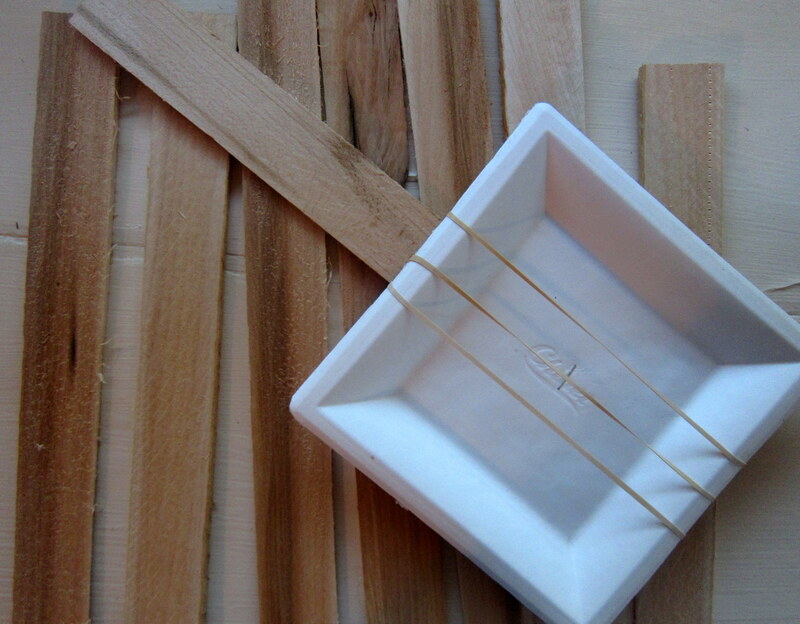 Staple the plates to the wooden paint stirrers or shims. Even if you’re using very sturdy plates, plan to double-up. Otherwise, the rubber bands tend to crush the plates. Step 3: Pull rubber bands, over your plate, top to bottom, to create the vihuela’s strings. Experiment with different combinations. Describe the sound a skinny rubber band makes. What about a thicker one?